ATJ's Home Improvement | News and Alerts | How to Choose the Right Type of Residential Roof? How to Choose the Right Type of Residential Roof? If you live somewhere in the suburbs of Chicago, chances are that most roofs look almost identical. The reason is that asphalt shingles possess an overwhelming share of the U.S. steep-slope roofing market. A steep-slope roof system, by the way, is a roof with a slope of 25 percent or more. If you’re in a position to choose a new roof, how do you go about it? Re-roof using the same material as previously? Look around and go with the same roofing system that everybody else has in your area? Let’s discuss some options available to the residents of Chicagoland. First of all, let’s agree on what we call “a roof.” See, there’s a reason why roofing professionals tend to call the thing that goes on top of your home a roofing system as opposed to just a roof. The main reason is that every roof consists of a few components. As noted previously, asphalt shingles possess an overwhelming share of the U.S. steep-slope roofing market and can be reinforced with organic or fiberglass materials. Although asphalt shingles reinforced with organic felts have been around much longer, fiberglass-reinforced products now dominate the market. Regardless of their reinforcing type and appearance, asphalt shingles’ physical characteristics vary significantly. When installing asphalt shingles, we recommend use of shingles that comply with American Society for Testing and Materials (ASTM) standards-ASTM D 225 for organic shingles and ASTM D 3462 for fiberglass shingles. These standards govern the composition and physical properties of asphalt shingles; not all asphalt shingles on the market comply with these standards. If a shingle product complies with one of these standards, it is typically noted in the manufacturer’s product literature and on the package wrapper. 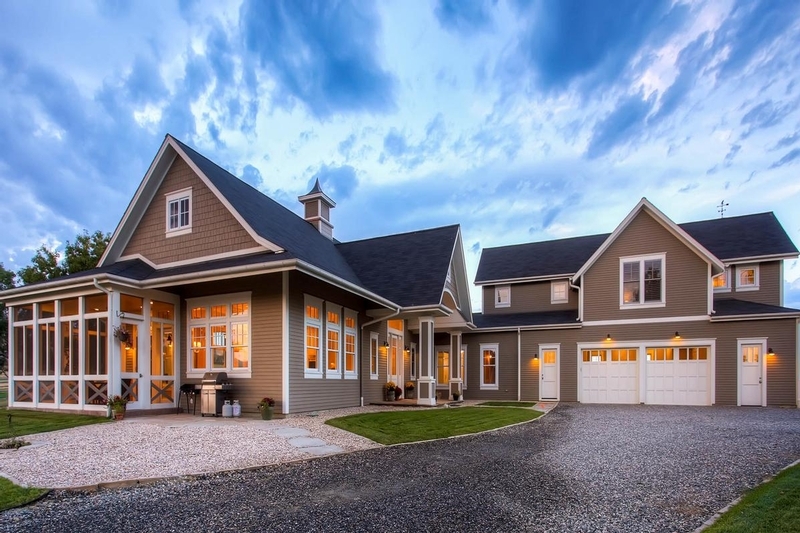 Wood shingles and shakes are made from cedar, redwood, southern pine and other woods; their natural look is popular in California, the Northwest and parts of the Midwest. Wood shingles are machine-sawn; shakes are handmade and rougher looking. A point to consider: Some local building codes limit the use of wood shingles and shakes because of concerns about fire resistance. Many wood shingles and shakes only have Class C fire ratings or no ratings at all. However, Class A fire ratings are available for certain wood shingle products that incorporate a factory-applied, fire-resistant treatment. Tile—clay or concrete—is a durable roofing material. Mission and Spanish-style round-topped tiles are used widely in the Southwest and Florida, and flat styles also are available to create French and English looks. Tile is available in a variety of colors and finishes. Tile is heavy. If you are replacing another type of roof system with tile, you will need to verify that the structure can support the load. We rarely see real tile in Illinois. Synthetic roofing products simulate various traditional roof coverings, such as slate and wood shingles and shakes. Many synthetic roofing products, such as plastic slate, have the durability and performance characteristics of the ’natural’ slate that it replaces, so many homeowners are eager to replace their old roofs with plastic slate. DaVinci cedar shake and slate shingles are arguably the most beautiful and the most complex. They will enhance the appearance of any Chicago area property. Developed with a state-of-the-art polymer chemistry, DaVinci polymer composite roofing tiles are not only beautiful but durable enough to protect and enhance the value of your home. So how do you choose a roofing system that’s best to you? You have to consider a variety of factors, starting with your budget and including such factors like geographical region, your personal taste, and current architecture of your house. Needless to say, buying a new roof system is an important investment. Before you spend your money, spend time learning how to evaluate roofing contractors. You should insist on working with a professional roofing contractor. All roofing contractors are not alike, and we recommend that you prequalify roofing contractors to get the job done right the first time.